“Far Leaves Tea: Slow down. Jiangxi is one of the lesser-known tea producing Chinese provinces. One of the handcrafted, artisanal teas for which they are credited in developing is called Chun Mee. 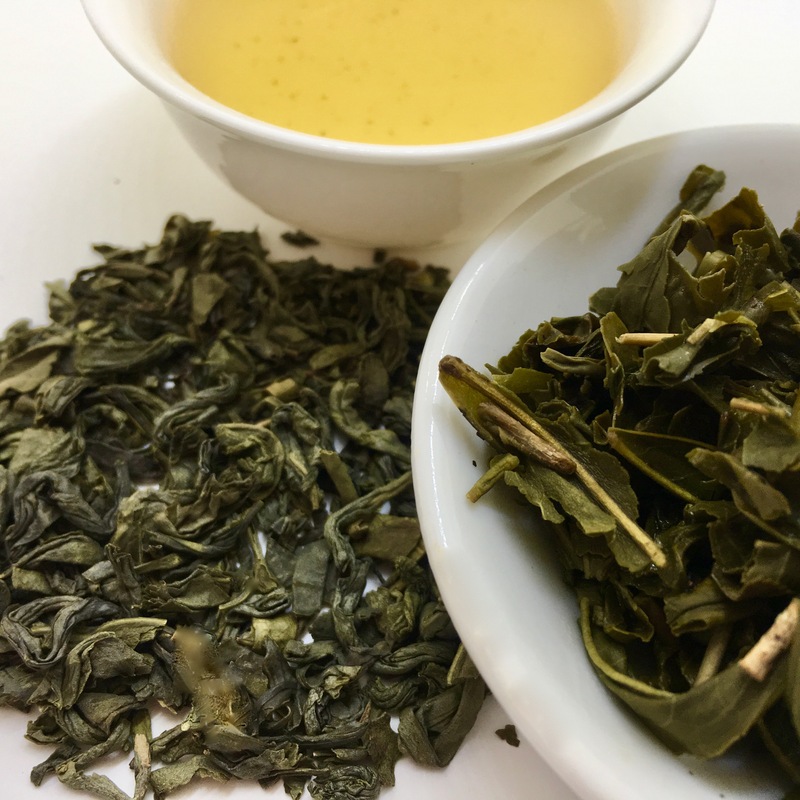 Even though this technique in rolling the green leaf is practiced in other areas most tea historians attribute the birthplace of Chun Mee tea to the Jiangxi province. The name translates to “Precious Eyebrows” due to the care needed in it’s hand-processing to create the long, tiny, arched shape of the final leaf. In southeastern China, it is bordered by mountain ranges and much of the land would be considered hilly with variations in climate and altitude but it is generally subtropical and enjoys abundant rainfall during tea growing seasons.Neighboring provinces, Anhui, Fujian and Zhejiang are much better known for their teas but the Wuyaun region of Jiangxi is an important agricultural area, one of which is tea. Most sources attribute the birthplace of Chun Mee tea to the Jiangxi province. The name translates to “Precious Eye Brows” due to the care needed in it’s hand-processing to create the long, tiny, arched shape of the final leaf. Look for tiny eyebrow leaves in the Global Tea Blend! Jiangxi has the reputation of producing the finest porcelain in China. Principally populated by the ethnic Han people, after enduring centuries of raiding by mountain thieves in the remote regions, the Han Hakka subgroup developed the unique ‘Hakka Walled Village’ beginning in the 13th century: a defensible circular communal living structure with only one entrance, no windows at ground level, meter thick earthen walls, and internal water sources and sewage system. Jiangxi cuisine is redolent of spicy flavors, where chili peppers are treated as a vegetable, not merely a spice or flavoring. Their culture is solidly based in traditional Chinese values and ancestor veneration, and includes the popularity of Nuo Opera, which is meant not simply as entertainment, but also is intrinsic to their religion, intended to drive away Evil and to petition blessings from the Gods. The Mount Lushan National Park is a cultural touchstone for the people of Jiangxi, melding the importance of nature, history, and religion, and is a UNESCO World Heritage Site. Although Jiangxi does have expansive flat regions, the surrounding mountain ranges dictate a range of climates, depending on elevation. It is generally subtropical, with high annual rainfall, and drier winter months. In the earliest development of China, Jiangxi had been strategically important, yet somewhat beyond the influence of the main centers of power, being geographically isolated by bordering mountain ranges, and also politically less impacted by the succession of short-lived or ineffective States that conquered it. Jiangxi finally gained its own provincial recognition early in the Yuan dynasty reign of Kublai Khan of the Mongol Empire, circa 1280 AD. This may help explain why Jiangxi is less well known that her neighboring provinces of Anhui, Fujian, and Zhejiang.